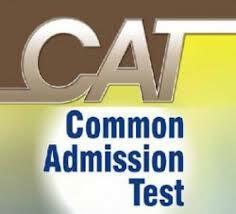 Common Admission Test (CAT 2013) is one of the most popular & toughest management aptitude in India, which is organized by Indian Institute of Management (IIM) every year for admission into various IIM's & affiliated colleges. CAT 2013 Online Registration has now been started & MBA aspirants looking for admission into some of the top management institutes in India can now apply online for Common Admission Test for the session 2013. CAT 2013 Online Registration has been started from Monday, 5 August 2013 & will last on Thursday, 26 September 2013. So if you're in process for applying for this aptitude test, Hurry Up! This year CAT 2013 is scheduled to be conducted in a 20 days window between October 16 and November 11, 2013. Like always Prometric is the testing partner for this exam. This year 115 more seats has been added up in 13 IIM's so that more talent can get a chance to get into Indian Institute of Management. CAT 2013 will be a 140 minute test divided into two different sections, the first section will carry questions on Quantitative Ability & Data Interpretation; and the second on Verbal Ability & Logical Reasoning. For more information related to other MBA aptitude test stay tune on our blog.